James Stewart began his RAF career at an earlier age than any other Moose squadron airman. 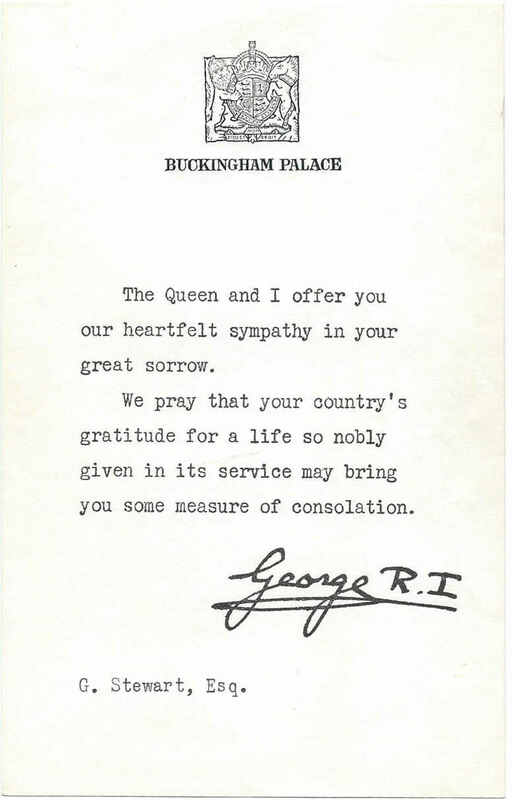 At the young age of 15 years he applied for the RAF Apprenticeship program. A program which had begun in 1920 to enlarge and enhance the the ground crewmen available. The RAF accepted boys between 15 and 17 1/2, the RAF then became their legal guardians, training them in academics and practical training during the five and a half days per week of the three year course. 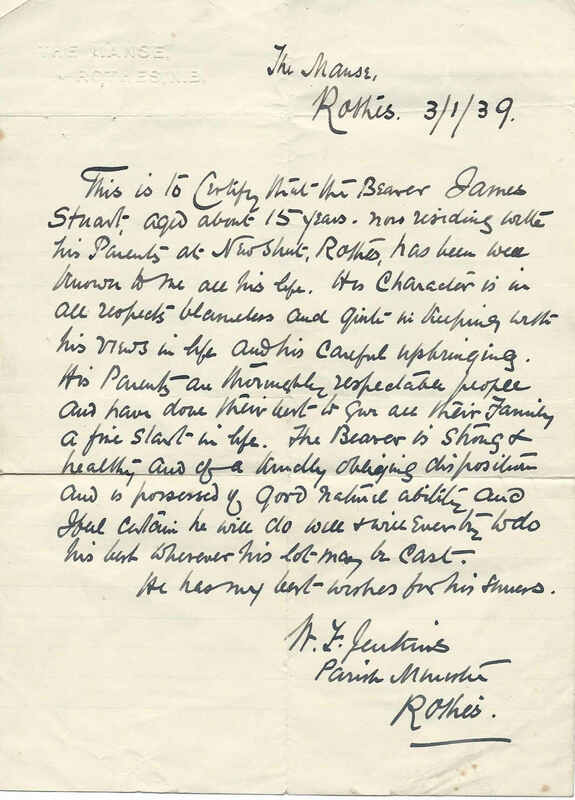 The program was open initially only to British subjects of "pure European Decent', hence the letter shown here prepared by the village Vicar, spelling out his family lines. This training at RAF Holton, designated as No.1 School of Technical Training produced some well known figures including Air Commodore Sir Frank Whittle, the father of the Jet engine. James Stewart would have had a leg up on any ground crew recruit who joined at the normal enlistment age. The military training given during this time and working on the latest aircraft and equipment were to provide Stewart with technical knowledge of a high standards. After the three years the boys would be old enough to enlist in the RAF. For the RAF this system joined in with the RAF Expansion Plan would prove valuable in providing a large pool of technically proficient men ready for the up coming war. By the time James Stewart completed his training as an Apprentice and was of age to be part of the RAF, things were changing rapidly. 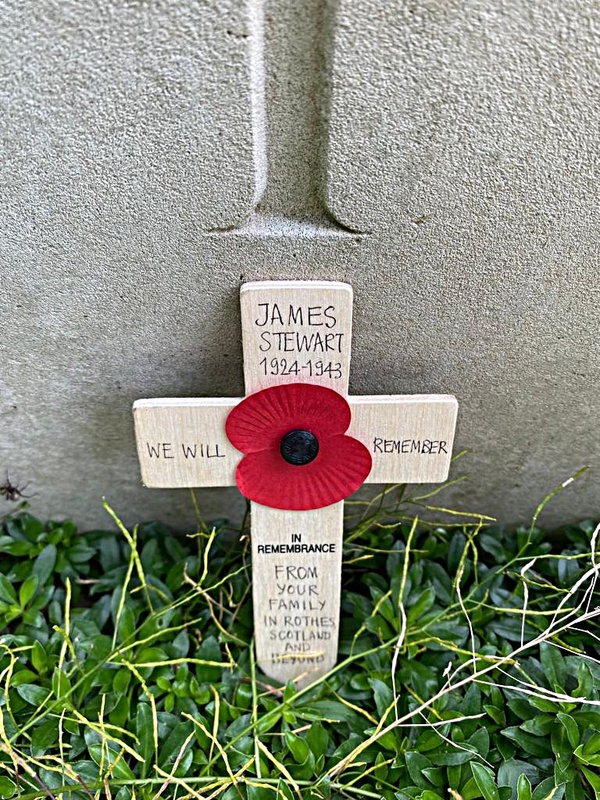 The war was now on, his older brother was a radio operator with the RAF and his sisters were nurses on the home front and later in France, James's father a Gordon Highlander veteran from the Great War was now in the Home Guard. The war time RAF opened new opportunities to the 18 year old Stewart. With the introduction of the four engine heavy bombers to Bomber Command it was realized by the RAF that the pilot was not able to carry out all the duties he had on previous aircraft. The trades of Bomb Aimer or Aimer Bombs and the Flight Engineer were added to the crews of Stirlings, Halifax Lancaster bombers. In the early stages of Flight Engineer selection only applicants from the RAF's own ground crews, especially engine fitters or those with other mechanical skilled trade were sought out. If there ever was an airman to be called a Jack of All Trades, it would be the Flight Engineer. He had to know all that there was to know about his aircraft. The future F/E would be sent to No. 4 School of Technical Training at RAF St. Athan, and Stewart even with his three years training at an SoTT was no exception. He along with all the other ground crew personnel picked for the trade would be taught to an even higher level of technical knowledge. Stewart would be expected to have memorized every system on the aircraft, not just how it worked, or how to fix it, but where it was located on the aircraft. 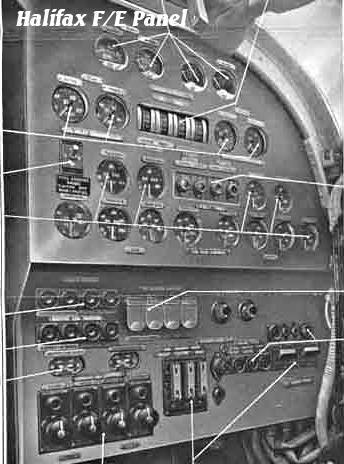 The list of his systems know how would cover, fuel systems, instrument panels, electrical, hydraulics, flight controls, engines as well as pneumatics. And had to be able to find them in the dark under potentially stressful conditions! As part of their training the Flight Engineers like James Stewart would be sent to the factories where the Halifax was made to learn inside tips on solving problems and see how the aircraft was assembled. One other step in his learning was on the effects of Hypoxia, the lack of oxygen, placed in a decompression chamber then they watch each other as the air was slowly removed. This experience gave them a quick and practical lesson on what to look out for if a crew man's oxygen supply was lost, or as sometimes happened they were not wearing it correctly. Before Sgt. Stewart could receive and wear his brevet with the "E" he had to pass a written test as well as a hands-on practical test. For all this training and testing he may never have even have flown in any aircraft even at this final stage, the aircraft he could have been on and worked on were tethered to the ground during engine run ups and testing. He completed his Flight Engineer training and was sent to join a new crew at one of the Heavy Conversion Units. The captain whose crew he joined was Sgt. Chapman. There is no actual date mentioned as to when the crew first arrived at 419 Squadron only that it would have been in early June based on the date, June 12/13th, as Sgt. Chapman's second stint as 2nd. Pilot. Sgt. Stewart's and the crew's arrival would have been close to that date. 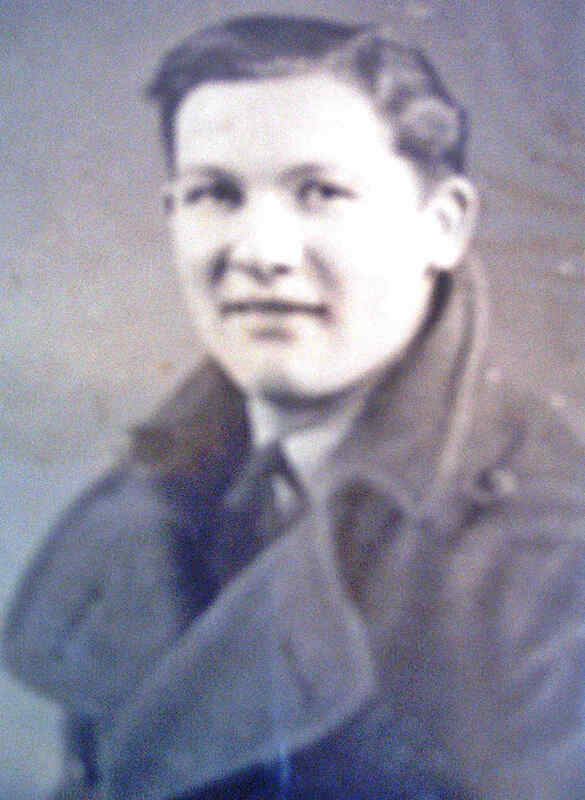 It was mentioned by Stewart to his family that he was treated like family by the Canadian airman and was very privileged to have been sent to 419 Squadron. Sgt. Stewart's first op with his crew was on June 21/22, the log shows no unusual activity during the operation to Krefeld. The following operation was a mining operation which also went without mention of any problems. 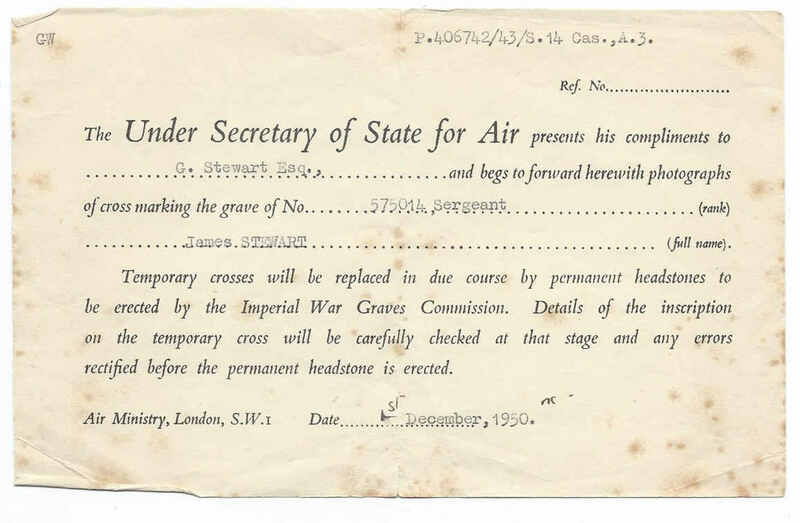 The following sortie on June 24/25th would bring first hand experience of having his aircraft hit. The heavy defensive flak while over Wupperthal sent flak fragments through both the bomb doors and part of fuselage. Damage was light enough for Chapman to bring home the Halifax. The next three operation reports were filled with mentions of heavy defences and flak, the large number of search lights and night fighter flares seen over each of these targets. The report for June 25th noted the most night fighter activity that he the pilot had seen so far. From their vantage point in the cockpit Chapman and Stewart also watched as two aircraft near them were shot down. It was yet another 419 raid on the Krupps works at Essen, over 700 aircraft took part in the operation. Noted as the most damaging raid on the Krupps works during the war, and one which caused D.G. Krupps to react with such health problems as to never recover from what he saw of the damage done to his armaments factory. Twenty six Bomber Command aircraft were lost on the raid. One was Halifax JD256 , Sgt. Stewart's aircraft. Only one of the crew survived, Sgt. Chapman the pilot. In his report on what occurred that night, told after his repatriation many years later was as follows.
" After dropping our bombs at about 17,000 feet, while crossing the target we flew into a thunderhead. While we were in there something collided with the tail of the aircraft. The controls were knocked out of my hands and jammed into the forward right-hand position. The aircraft then rolled into an inverted dive from which I was unable to recover. The crew, not having their chutes fastened on were not able to escape in time. I had a seat pack and made my escape through the pilot's hatch above me (actually below, as the aircraft was inverted). I bailed out at a very low level swung over on parachute then touched ground in a suburb of Essen"
Sgt. James Stewart was just 19 at the time and on his seventh operation.